In Brighton and Hove you can’t walk past a park or open green space without seeing groups of people sweating like crazy as they work out at various boot camps. A few of my friends have gone to sessions, but the boot camp that stands out the most, and I have heard the best thing about is Bfit. 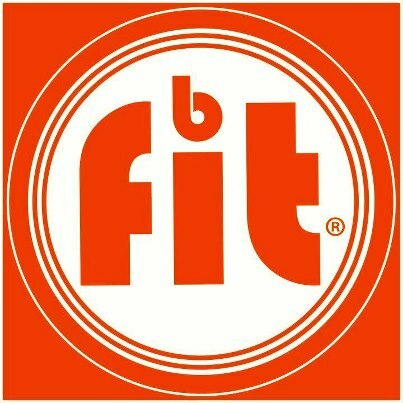 Bfit sessions are held at three locations Hove Lawns, Preston Park and Brighton and Hove High School, in addition to boot camp they also run Zumba, Yoga, Boxercise and Corefit sessions. Sessions can be bought on a monthly basis from as little as £35 and they often do deals on places like Groupon. I decided it was time for me to give boot camp a go and to be quite honest I was dreading it. I was sort of expecting being shouted at by some army corporal and feeling really inadequate and rubbish. My fitness levels are 100% better than they were this time last year but I’m still not that fit so something like boot camp seemed really overwhelming. They were muddier than this! But I put my worries aside and attended a session on Hove Lawns on a Wednesday evening. It was cold, dark and I was advised to bring gloves and not to worry about getting muddy! When I approached the group as they started to set up I was more or less immediately approached by James, the session trainer, to welcome me to the group and help get me started. I have to say James was not what I had expected, while he is obviously very fit and capable, he was not some screaming army bloke and I was immediately relieved. I no longer felt like the following 50 minutes were going to be a living hell! We started with a group warm up which included star jumps and high knee jogging in a circle. We then got into pairs and started working out with boxing gloves, taking it in turns to be the hitter. In between each set we would have to jog to the end of the lawns and back to then start a new combination of punches. While the jogging was fine, the boxing work out was a lot more intense than I ever thought it would be! I know that I was struggling and my partner (male) was definitely fitter and stronger than me, but he was incredibly supportive while we worked out together. At one point I had to do sit ups and then jab his pads when I reached the top, towards the end of each of my sets I really started to flag and his words of encouragement really helped spur me on for the last few seconds.The real killer of the session though were the ‘Burpees’ which I completely failed at. My body just said ‘No’! After the session I felt great and really energised, I would definitely recommend joining a Bfit session near you.